motocross stickers, buying MX decal sets. Decals for dirt & pit bikes that are cheap. Motocross stickers are sold in big numbers. 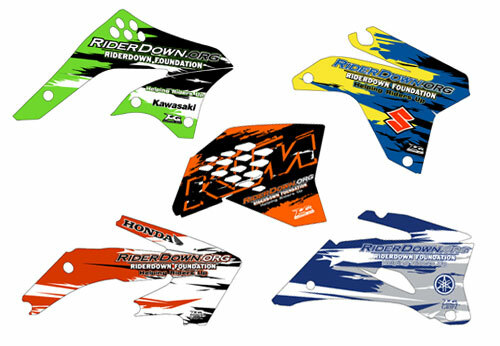 Decal sets for dirtbikes can be found on lots of motocross websites and indeed auction sites. Motocross riders do prefer customising their own bike and individual sticker sets are ideal. If you have enough cash you can even have some custom ones made. A MX sticker is a personal choice of course, what one rider loves another will hate. Also you can spoil your dirt bike by over-doing the stickers and making it look like a fly-poster corner, with stickers overlaid over each other. A motorcycle sticker or decal can really spruce up an old bike however. From helmet decals to generic kits; they have never been easier to buy – especially online. Lets get online to buy motocross stickers and dirt bike decals. Ebay was the first obvious choice in our search for a motorcycle sticker and deals on dirt cheap decals. It didn’t disappoint, as we found a PIT / DIRTBIKE MAKITA DECAL KIT made from durable 3MM VINYL for a buy it now price of £19.99. Or maybe you’ll want some Renthal D.I.D. swingarm decals for only £4.99 and thats with free postage. And lastly a set of MX motorcycle decal sheets. Nine sheets of vinyl that are die cut & weather proof - high quality stickers for a reasonable £9.99. 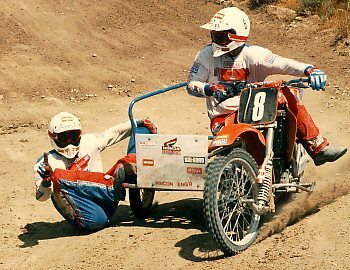 Ebay has kits of motocross logos / brand names, cartoons and other items that could all be used as motorcycle stickers for your MotoX bike. Slyfoxmx.com, is not only one of the top motorcycle sites, for dirt bike accessories, but good for sticker sets (motocross stickers) as well. Their Sly Fox sticker set consisted of 2 Front fender decals, 2 Swingarm stickers and 4 miscellaneous decals for assorted use over your motocross bike. All for $14.95 and designed from rugged non-fade vinyl. Sticker kits offer more for your money. They also do a Sly Fox motocross stickers Set in White for $8.95. Which was on a limited run when we visited. Or would you like the Mach 1 Dirt Bike Sticker; which comes in many sizes. Constructed from 4mil adhesive backed vinyl, which can be used on car windows, laptops or your 50cc dirt bike! Prices vary from the smallest size at $2.00 to the largest 19.0" x 16.0" size at $19.95. Motorcycle-superstore.com has a ton of dirt bike sticker stuff; from all the main manufacturers. 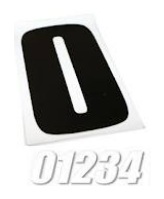 Some Factory Effex 6" Standard Number decals for the front of your bike (or they could be even used on mini dirt bikes) - was priced to sell at $1.99 each! A Leatt Brace Sticker Kit was on sale at $39.99 and a Shift Racing sheet of vinyl decals were only $9.99. Plus a cool single sheet of assorted logos from Answer Racing was being offered up at $8.99. Then lastly we came to dirtbikebitz.com who have dedicated pages on motocross stickers. Generic MX Bike Decal sets went from £4.99; and a One Factory Connection Sticker Sheet (Honda) was only £11.99. But they do Suzuki decal kits from £10.99, KTM vinyls from £10.99 and yamaha dirt bike stickers going for £10.44. These easy to use installation kits are great for riders of the big brands - just take your time applying them to your ride. All the catalogue pages had an excellent clear picture of each item. So if you ever get stuck in the mud, with your tires spinning in the dirt, and your ride needs a fresh new look – check it out – and you can do it all for very little cash. Motocross stickers are a cheap and easy way to brighten up any off road bike that’s true. But costs do vary broadly, and it’s easy to go through a few hundred dollars, loving the designs and images; only to find that most of your stickers have no space on your bike to be stuck! So you’ve wasted some money – which could have been put toward gas and race fees. Before you begin your buying spree, check out your bike and gear with a clear head, look at the places your wanting to place your decals, not only size and shape, but how many stickers roughly you can really use. Motocross stickers are the most impulse bought items, and while it’s true each individual decal only costs a few dollars, it can mount up over a few dozen. Plan your sticker sets and single items – your budget will benefit from it.